It took eleven years for Formula 1 to reach the 100th race, which took place at the Nürburgring Nordschleife circuit in 1961. Between the first and hundredth races, Juan Manuel Fangio had established himself as a five-time World Champion of the sport. Meanwhile, the Indianapolis 500 had been included as a round of the championship in the first ten seasons, with 1961 being the first season to not feature the race on the calendar. Three years previously, in 1958, the Constructors’ Championship had been introduced, and had been won exclusively by Vanwall and Cooper until 1961, which saw Ferrari take their first Constructors’ Championship victory. While eventual 1961 World Champions Phil Hill and Ferrari took pole for the German Grand Prix, it was Stirling Moss who won the event, taking the final race win of his F1 career. Moss still holds the record for the most wins without being World Champion. The next milestone event took place at the third race of the 1971 season – the Monaco Grand Prix. It was a race weekend which was dominated by Jackie Stewart, who was one of the icons of the era. Stewart was on the path to winning his second World Championship in 1971, and the Scotsman was one of the major voices on the progression of safety of the sport. Formula 1 had become increasingly dangerous over the sixties, with the evolution of speed far out-developing the safety procedures at the circuits. Ronnie Peterson was the victor of the 300th World Championship race. The race saw a highly dramatic last lap, in which Peterson battled Patrick Depailler to the line, with the ‘Super Swede’ eventually winning by half a second. While safety had improved somewhat, Peterson was killed just over nine months later as a result of injuries sustained in the Italian Grand Prix. That, paired with the near-fatal accident of Niki Lauda two years earlier, showed that the sport still had a long way to go in terms of safety. Things were beginning to change though. Bernie Ecclestone had an important role in this; he formed the Formula One Constructors’ Association (FOCA) in 1974, and hired Professor Sid Watkins in 1978 as the sport’s official doctor. Meanwhile, Ecclestone was also largely responsible for Formula 1’s increasing popularity, with races now being shown live on television across the globe. The 400th championship race, at the Österreichring in Austria, was won by Niki Lauda. It was the first, and only, time he won at his home event from twelve appearances at the track. The Austrian went on to win that year’s title before retiring from the sport in the following year. There was confusion at the start of the race as a result of problems with the starting lights. 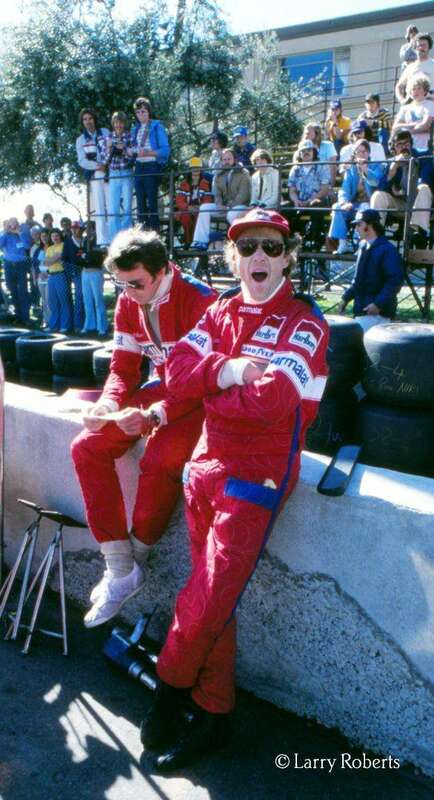 The early eighties saw the emergence of Alain Prost, Nigel Mansell and Ayrton Senna – all of whom would go on to be huge stars in the decade. The Williams team also emerged as title contenders in the early eighties, with them and Ferrari sharing the Constructors’ spoils – though it was Brabham’s Nelson Piquet who became the first double World Champion of the decade. The 500th Formula 1 race was held immediately after the controversial championship-deciding Japanese Grand Prix, in which rivals Ayrton Senna and Alain Prost collided at the first corner, putting both out of the race and handing Senna his second World Championship. The 1990 Australian Grand Prix, which was won by Nelson Piquet, is perhaps most memorable for a now infamous pre-race interview with Senna, conducted by Jackie Stewart. Prost and Senna had dominated the headlines in the seasons between the 400th and 500th races, with Piquet being the only other driver to take a championship victory during that time (his third, in 1987). The sport had been through a trying time since the 500th race, with Ayrton Senna and Roland Ratzenberger losing their lives at the 1994 San Marino Grand Prix. The events led to a fresh focus on the safety of the sport, with cars undergoing major changes in the following seasons to make Formula 1 safer than ever. The 600th race, the 1997 Argentine Grand Prix, was won by rising star – and eventual 1997 World Champion – Jacques Villeneuve. Since the 1990 Australian Grand Prix, Prost had retired and returned to win a fourth title before retiring again, Michael Schumacher had won his first two titles, and Brits Nigel Mansell and Damon Hill took well-earned and long-awaited title successes. The 2003 Brazilian Grand Prix marked the 700th race, and it was a dramatic afternoon in Sao Paulo. The rain-hit race was red-flagged following the crashes of Mark Webber and Fernando Alonso, leading to confusion over who had actually won the race. Kimi Raikkonen stood on the top step of the podium, but handed the trophy over to Jordan’s Giancarlo Fisichella less than a week later. The Italian’s victory marked the last win for the Jordan team. Since the 600th race, Mika Hakkinen had won his first race, won two World Champions and taken a “sabbatical” from the sport, while Michael Schumacher was on the cusp of becoming the sport’s most successful driver, claiming his sixth title victory later in the 2003 season. The 800th race in F1 history will be remembered as one of the most controversial. 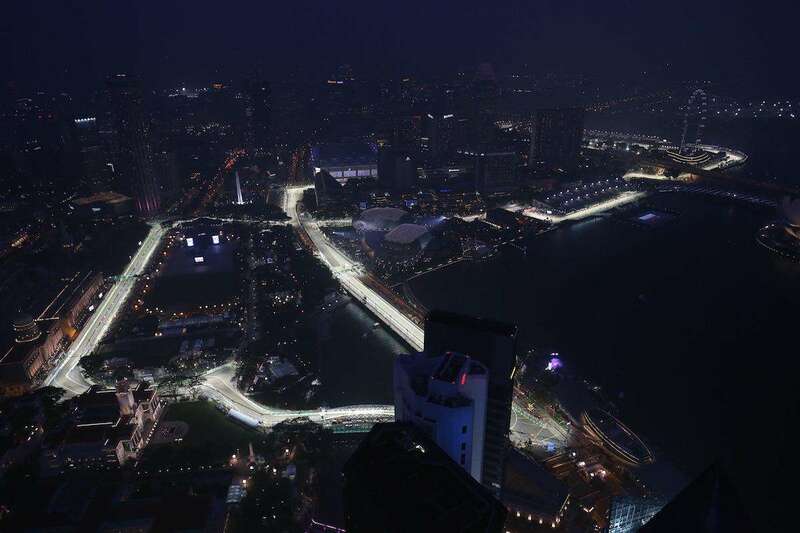 The celebration of Formula 1’s first-ever night race in Singapore was overshadowed, as it emerged after the event that Renault had instructed their driver, Nelson Piquet Jnr., to crash in order to give team-mate Fernando Alonso a strategic advantage. Alonso won the race, but those involved were outed one year later as the sport was stunned by the revelations of the “Crashgate” scandal. Alonso was no stranger to the media headlines by now, having become the sport’s youngest champion in 2005 and, after another title in 2006, moving to McLaren to partner Lewis Hamilton in 2007 – in a season which was filled with controversy. Also between races 700 and 800, Schumacher had become the sport’s most successful driver, clinching his seventh championship in 2004, before retiring (for the first time) at the end of 2006. Just like the 800th, the 900th race was held at night, and was the first to be held under lights in Bahrain. Formula 1’s latest milestone race was another dramatic one, and can perhaps be seen as the starting point of Lewis Hamilton and Nico Rosberg’s bitter rivalry. Hamilton eventually won the Grand Prix after a race-long “duel in the desert” with his team-mate. Between races 800 and 900, Michael Schumacher had made a shock comeback and then retired again after little success, Sebastian Vettel became the sport’s youngest winner and took four consecutive World Championships, Honda, Toyota and BMW all left the sport, while Mercedes returned before the sport entered the current V6 hybrid era. Since race number 900, the cars have undergone dramatic visual changes, growing halos in 2018 and developing lower wings thanks to 2017’s new regulations. In the last 100 races, Nico Rosberg has found time to win a championship and retire from the sport, Lewis Hamilton has taken a further three titles, Liberty Media have become the new owners of Formula 1 and the likes of Max Verstappen and Charles Leclerc have emerged as the sport’s future superstars. As we head to the 2019 Chinese Grand Prix for the next milestone, let’s hope the 1000th race will be just as entertaining as the last few milestone races! From the 999 F1 World Championship races so far, which has been your favourite? Let us know in the comments below!